A few days ago I was looking through my mom's recipe collection which I brought along with me when I came from India. A few of the recipes are typed out on sheets which are now yellowing with age. Typed with an almost extinct type writer :D. The paper maybe old, but the recipe is still as fresh as it can be. I came across a recipe for Jam Tarts. My brother and I loved these as kids and every time mom made them, we used to clamber to get an extra tart. 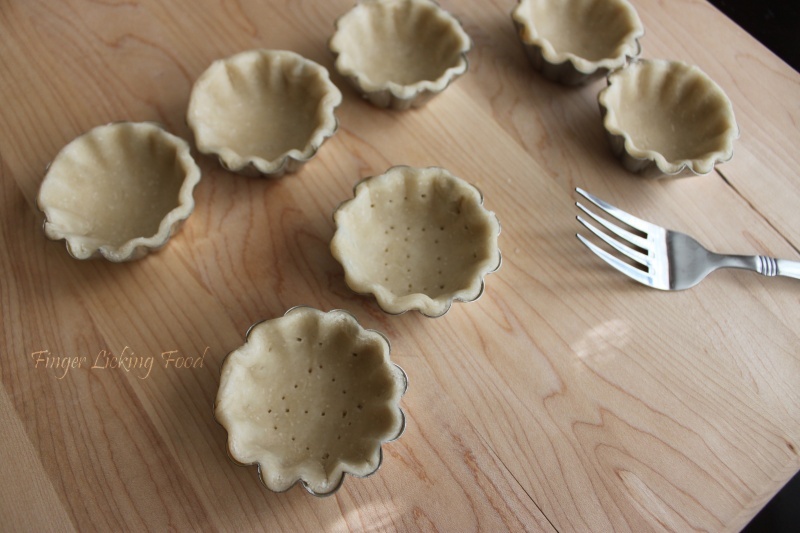 I found mini tart pans at the store and was eager to make these as soon as possible. Combine the flour and salt in a medium bowl. Cut the butter or margarine into small cubes and add to the flour. Using a pastry cutter or a fork, combine butter into flour mixture till it resembles coarse bread crumbs. Sprinkle a tablespoon of cold water and combine with a fork. Slowly add a tablespoon of water at a time till the mixture is moist and comes together. Shape into a ball and transfer to a lightly floured surface. Roll the dough to a thickness of ¼ inch. 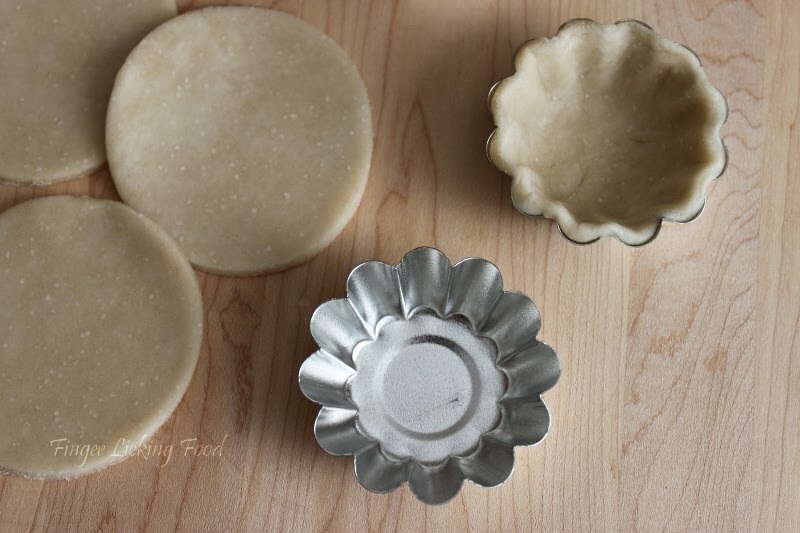 Cut dough using cookie cutter and line the tart pans with a circle each, pressing gently with your fingertips to help the dough line the ridges of the pan. Prick dough with a fork on the base and sides, line with foil, place on a baking sheet and bake for 6-7 minutes. Remove the foil and continue baking for 4 more minutes. 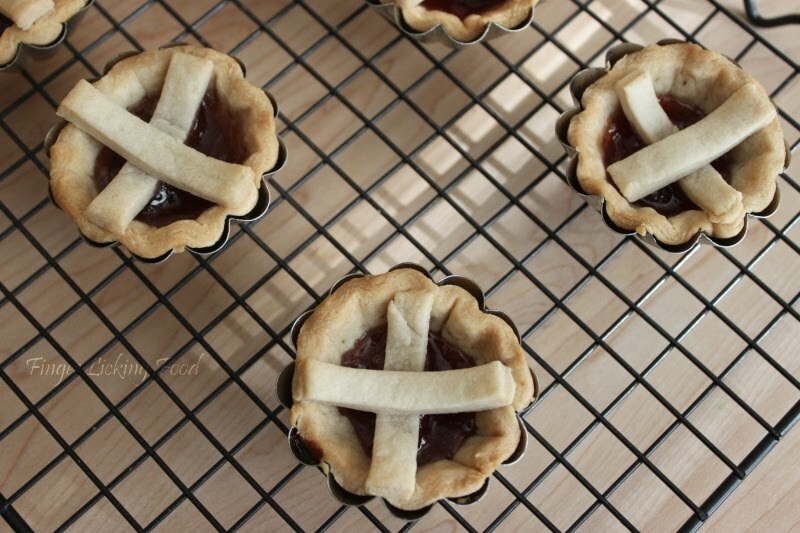 Fill tart pans with a teaspoon of jam each. Top with 1 inch strips of dough in a criss - cross pattern. Bake for 10 minutes. Cool tarts on wire racks completely before unmolding from pans. Neat clicks, havent tasted them! 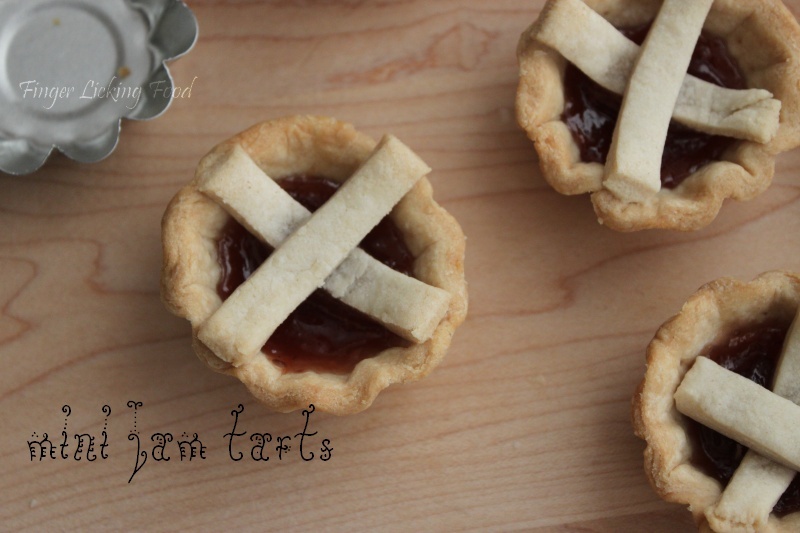 I love anything jammy and the tarts look so so yumm. the tarts look very cute and lovely and tempting. Love Jam tarts...especially with strawberry preserve. I used to add a little custard powder to the pastry dough.. it has been quite some time that I made them though..
OMG they look so cute and definitely should taste wonderful too!!! Hi Namratha, where do you buy these tarts? and what size are those used by you?